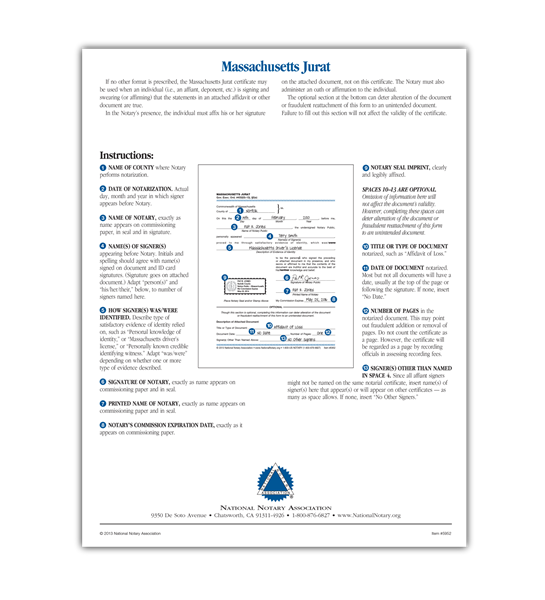 If no other format is prescribed, the Massachusetts Jurat certificate may be used when an individual is signing and swearing (or affirming) that the statements in an attached affidavit or other document are true. Pad of 100 certificates. We're sorry. 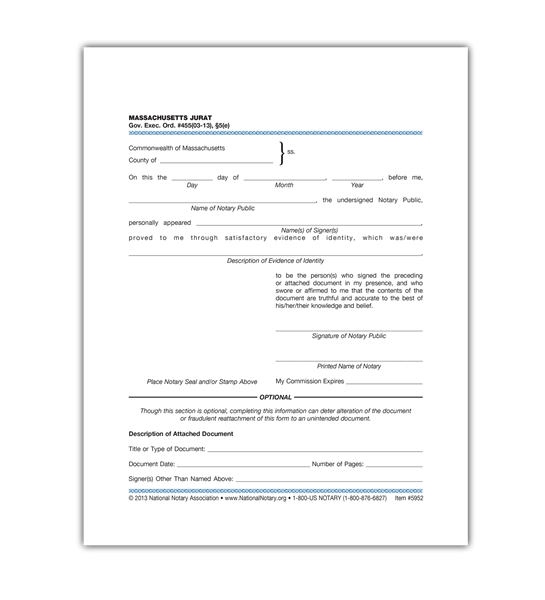 Massachusetts Jurat is not available for use by Notaries in Virginia. If the chosen state is incorrect, you may change your state at the top right of the page.